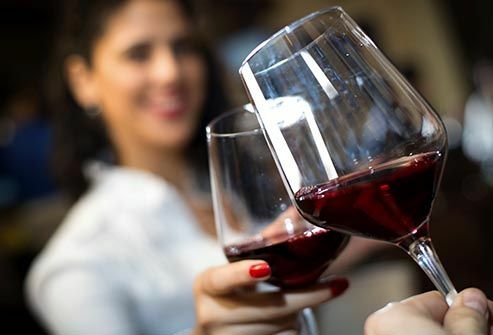 Is drinking good for your health?Several recent studies have suggested that alcohol in moderation offers health benefits and may even help you live longer. Yet in 2014, the World Health Organization labeled alcohol as a carcinogen and said no amount is safe. The question gained new relevance this month with the release of a sobering report that documents a significant rise in the number of people with drinking problems in the U.S. The problems were noted especially among women, minorities, and the elderly, as well as those with less education and lower incomes. Is any amount of alcohol better than none at all? “That’s by far the most difficult question, because we don’t have perfect studies that answer it, and the data we do have are complex,” says alcohol researcher Kenneth Mukamal, MD, an associate professor of medicine at Beth Israel Deaconess Medical Center in Boston. A large study published this month illustrates his point. It showed that light to moderate drinkers lowered their chances of an early death by about 20%, compared with nondrinkers. Their risk of dying from heart disease dropped even more dramatically. But only light drinkers saw a drop in cancer deaths. Light drinkers were those who had fewer than three drinks per week, while moderate drinkers had more than three drinks, but no more than 14 for men and seven for women per week. Heavy drinkers, on the other hand, fared considerably worse. They had a 27% higher chance of dying of cancer and an 11% higher chance of dying early from any cause. Binge drinkers had similar risks. Recent studies have also looked at how moderate drinking affects the aging brain. One published this month found that daily drinkers (up to three drinks for women and four drinks for men) were about twice as likely as nondrinkers to live to 85 without thinking and memory problems. Alison Moore, MD, studies alcohol’s impact on older people. A geriatrician at the University of California San Diego, she says its possible positive effects on heart health may, in turn, protect against dementia. Most people with diabetes can enjoy some alcohol. Rules are the same as for everyone else: one drink per day for women; two for men. But you need to know how alcohol affects your blood sugar. A sugary drink might spike your blood sugar. But if you drink on an empty stomach or take certain meds, your levels could swing too low. Meanwhile, a study from June that followed its participants for 30 years raises cause for concern. Moderate drinkers had a 3 times higher chance of deterioration in certain brain regions by their 70s. 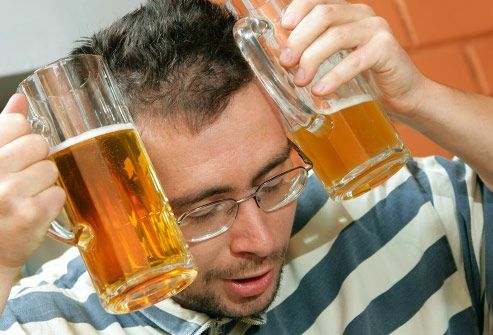 They also performed more poorly on one of several brain strength tests than nondrinkers. This study defined moderate drinking as 14 to 21 drinks per week. So, how do you decide whether or not to take a drink, let alone how much and how often? It’s complicated. Federal dietary guidelines recommend no more than one drink per day for women and two drinks per day for men. Women are advised to drink less than men because their bodies absorb more alcohol and metabolize it more slowly. Man or woman, it’s critical to pay attention to portion sizes when pouring a drink or when ordering at a restaurant, says Steinbaum. Your one glass of wine could easily contain the equivalent of two or more drinks. Alcohol can make you more prone to falls and can boost your blood pressure. It also contains a lot of sugar, a concern for anyone with diabetes or prediabetes, she says. There are benefits to taking a break from alcohol for a while. Just like a real getaway, it’s a good thing. Talk to your doctor about any concerns, but know that they have imperfect evidence and can’t offer a definite answer, Mukamal says. While large studies designed to better answer questions about the health benefits and risks are being planned, the results may be a decade away.